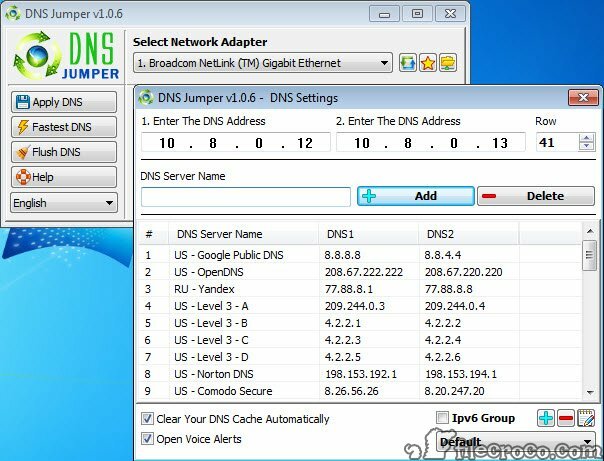 DNS Jumper is a helpful tool that allows users to change DNS settings automatically, which usually leads to increasing Internet browsing speed. Also, using this tool, users can improve their internet security by replacing the default DNS provided by their internet providing company. Moreover, this application helps users reach websites that have been blocked and also protect children from inappropriate content by blocking websites that can intellectually and personally harm them. 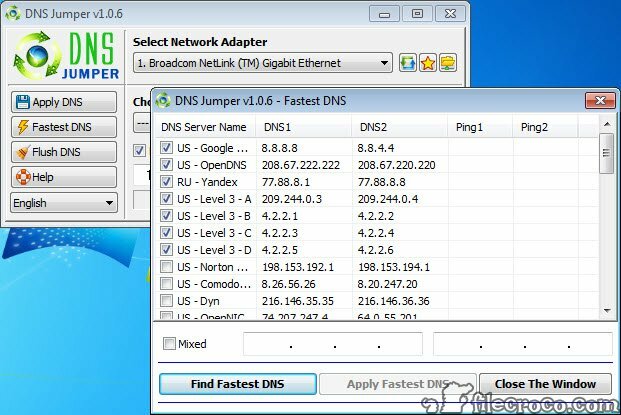 In order to change the DNS settings using this software, users only have to open the DNS tab, select one of them and click Apply DNS button. After doing this, the computer is ready to securely browse internet faster. 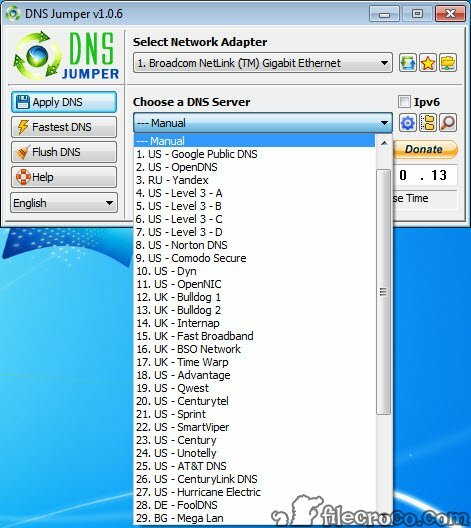 However, if a user wants to restore the ISP Default DNS again, it can be done through a simple command, by clicking Quick Configuration button, selecting Restore or Default and approving the action by clicking Apply DNS button as he did before, in the initial changing.